If you've been looking for a central online place to store all of your information and have it automatically turned into usable information then you might consider Springpad. 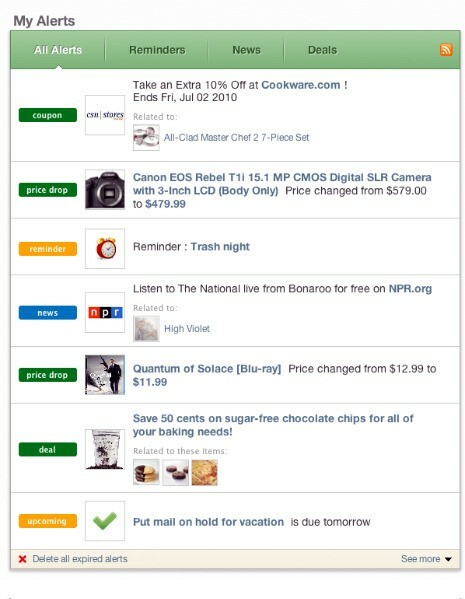 Springpad is an online note taking app similar to Evernote, but instead of just archiving information, Springpad transforms the items you store into notes, shopping lists and alerts you to money saving offers. With Springpad, no longer are your notes static items but instead changing and adapting entries that can save you money. Alerts are the newest feature to come to Springpad and can be used to help save money on purchases large and small. When you add an item to Springpad, say a new camera, Springpad will monitor the camera and look for price drops, coupons, offers and local deals. One of the best ways to stop wasting money on impulse purchases is to add them to a list, and if you still want them 30 days later, then pull the trigger. With Springpad, not only can you add these items to a list of "Gadgets I want" or "Birthday Wishlist," but you'll also be able to find lower prices and special savings. These lists can also be shared with friends and family so you won't struggle the next time your wife asks what you want for your birthday. Cookware.com is an example of a retailer that Springpad will help you find deals for. By adding any item on Cookware.com to your Springpad account you'll find receive a coupon code for 10% off in your alerts. 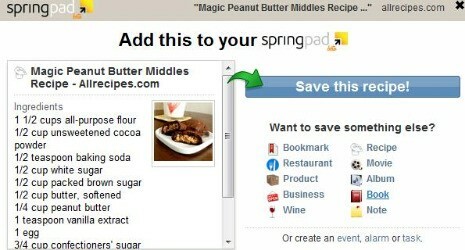 Springpad currently tracks deals and coupons from 250 plus retailers including Groupon. In addition to acting as a personal assistant that helps you find the best price on a single item, if you add a restaurant to your Springpad account you may see a special deal; this in addition to directions and links to reviews. The alerts feature in Springpad also allows you to set tasks around a specific item or event. So, if you have trouble remembering to pay a specific bill, or your quarterly estimated income tax, Springpad can help there too. Another really cool tool in Springpad will help you plan meals for the week and easily create a shopping list based on the ingredients. Springpad can automatically determine the ingredients from sites like Epicurious and Allrecipes as well as recipes at most smaller websites. If you want, there's even a Springpad app that will help you plan your meals and, when you create a shopping list, you can search for coupons to save more. Springpad is a free service and offers mobile access on Android devices, the iPhone and the iPad as well as in any browser on the web. When accessed from an Android smartphone or the iPhone you can view and edit notes, read a shopping list and add items by taking a picture or scanning the items barcode. One downside to the tool is that Springpad is not available on as many platforms as Evernote. Currently Evernote has apps for the same devices Springpad supports but also devices running the BlackBerry OS, Windows Mobile and Palm's WebOS. For those devices there is a mobile version of the Springpad website, but you lose out on the advanced functions like barcode scanning that come from having a specific app. Evernote also offers desktop access and browser extenstions which Springpad currently doesn't.  For now you can add pages to Springpad through a bookmarklet, a link you save that when clicked performs an action instead of taking you to a webpage.  According to Jeff Janer, Springpad's CEO, SpringPad will support browser extensions later this summer and the company has plans to provide apps on additional devices later in 2010. Even for longtime Evernote users, like myself, Springpad deserves a look. The ability to transform once static notes into constantly updating pieces of data that help you save money and make decisions is a refreshing way to store and use information.